I saw this advertised on a poster in front of a small restaurant with connected souvenir shop that stands between Entsuiin Tempe's fabulous gardens and Zuiganji temple's small forest entryway. 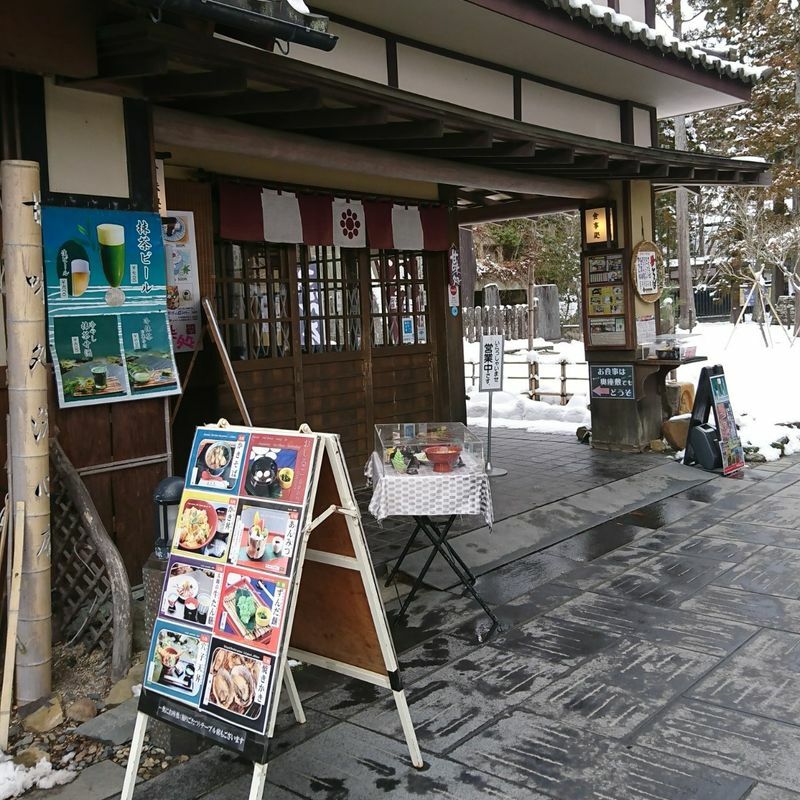 In addition to the exotic ice cream selection boasted about on the outer wall near a service window, the restaurant inside also offers a small variety of traditional Japanese dishes including soba, tempura, and green tea of a more traditional variety. This shop, Senshin-an by name, is the same shop I brought my brother to during his first trip to Japan, and he had very much enjoyed the fried oysters, fresh from Matsushima Bay, as well as the udon they were served with. For a small traditional restaurant to attempt something as strange and new as a greet tea infused beer is a bit surprising to me, and a few days ago I decided to give the little green beverage a try. The menus came with English explanations on the back and a few pictures to assist for anyone lacking in Japanese language skill. Seated guests were also given complimentary cups of warm barley tea, which was a lovely thing to sit down to on a cold winter afternoon. The green tea specialty menu also includes amazake, the sweet fermented rice drink, and a traditional green tea served hot or cold. At 700 yen, the beer is the most expensive of these options and comes in a nice glass with an astoundingly thick light-green head. It smells like beer, and the taste of the foamy cap is a subtle reminder of the beverage waiting below. 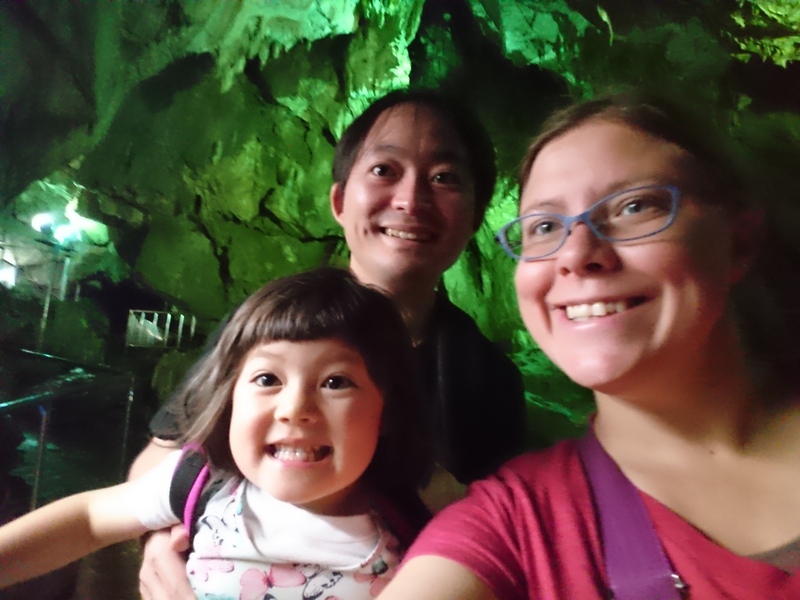 For the most part, the beer tastes like a regular pilsner, not unlike Asahi dressed up in a glass, but the aftertaste comes with notes of umami from the tea component. Unfortunately, the green tea portion of the taste is largely drowned out by the overwhelming beer flavor, though I am not sure if stressing this overshadowed portion would be an improvement or a detriment. Despite this, the beverage is actually weirdly refreshing, especially when cold and crisp, but the novelty of the flavor combinations wears thin after a few ounces. I recommend sampling this bizarre concoction with a friend as half a glass is enough to enjoy the strange beverage without venturing into overkill. 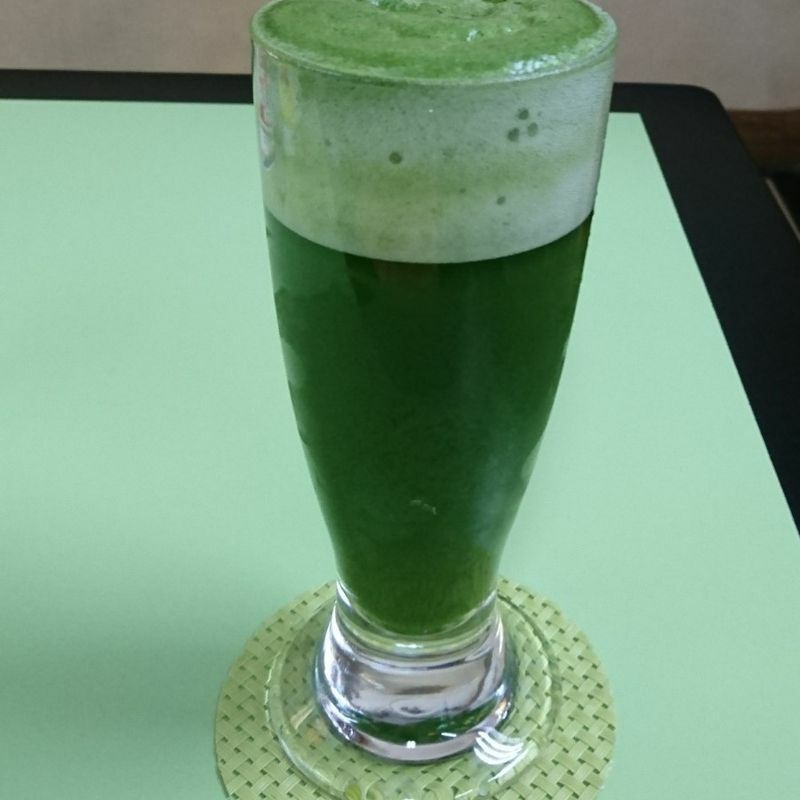 If you're looking for a new take on green beer for Saint Patrick's Day, check out the green tea beer at Senshin-an in Matsushima. It isn't nearly as gross as you might assume.